Buckle up and let Kate and Colin take you through the fun paced, family filled, dirt road drifting wedding day! From getting ready at the delicious Chantarelle to dancing in the streets of Thunder Bay, to endless friends and family on that dance floor…well, you get the idea. Kate and Colin thank you so much for letting us spend this fabulous day with you. Caroline and Josh picked our favourite time of year (fall) to get married. The leaves were in peak colours which provided stunning backdrops. For hunters this was opening weekend; and this led to countless ribbing from Josh’s close hunting friends by saying “He’ll never forget the anniversary date”! Caroline was stunning and full of smiles throughout the day. It was a true pleasure to capture your day. You both made it so easy! For us, it started with a request from Jordan to capture him proposing to Alyssa two summers ago. We were thrilled to be there from the start of their life together (even if it meant hiding like creeps in the bushes!). “You never know when you’re going to meet the love of your life”. Marina and Mate celebrated a traditional Croatian; complete with “Buying the Bride”…a tradition that’s been passed on for hundreds of years. Food, drink and singing are all part of the day and the rehearsal. We were so thrilled to be a part of all of it. It’s mostly in Croatian so turn on the captions. Zivjeli!! We knew this was going to be fun wedding from the moment they walked through the door. For Jessica, music is a part of her life. We spent the time capturing her at the piano playing Canon; which was also their processional march. Their ceremony was at Redwood Church. The words from Pastor Joel were so inspiring that they became the soundtrack of the film. After a beautiful ceremony and reception we were invited to their after party at Jessica’s parents camp (that’s cabin or cottage for you outta towners!). We were there to film, but we were treated as guests and ended up spending the entire day with their friends and family. This is what we love about our job….the fact that it doesn’t feel like one. We met them as clients and left as friends. Who could ask for a better job? Allison​ and Michael were married on a fabulous August day at Fort William Country Club. Her best friend Teddy (the dog, not the Maid of Honour) was by her side the entire morning while she got ready. Both of their dogs watched her getting ready and as dog lover ourselves it was heart warming to watch. Scroll down to see their wedding highlights film and more images. I asked a few questions about the other to both Allison and Michael, and both had trouble keeping it together with the thought of the other. It was so nice to see. Congratulations! When Ted and Tammy told us they would be nervous in front of the camera we were up for the challenge! Any couple who has contacted us knows the emphasis we put on being a good fit for the day. Getting to know a couple puts them at ease once the cameras come out. We started with a beautiful evening out at Centennial Park. I fell off a fence and hobbled around while they giggled a bit. It wasn’t long that their true personalities were shining through. Wedding day was a true family affair. With Robins coffees starting the day at their house Tammy was glowing watching her friends and daughter get ready. Instead of going to a hair salon to capture the girls get ready we did the opposite and followed Ted for a shave and trim. It was a beautiful ceremony in the historic St. Andrew’s Church. The formal shoot was in a rural settings on a hot, hazy, July day. The bridal party took the good advice of staying well hydrated by hanging out in the bus until the fluids were gone. We got some great shots in a rural setting. Ted pulled a few ticks from Tammy’s dress (he didn’t tell her until a few days later!). Here’s the highlights of their day. Congratulations again to this wonderful couple. We met this lovely couple in one of our favourite spots just outside town. What we planned on taking an hour quickly turned into one of the fastest e-sessions we’ve ever done as the mosquito’s were gargantuan and hungry!! One of my absolute favourite images from this session resulted from Alan wafting Alison and Michael with a reflector to keep the bugs off them as they sat in the long grass, long enough for me to capture a few special moments! Hopefully their wedding day will be less buggy! Ah life in NW Ontario! Imagine Photo Cinema wins Silver for the second year in a row! WPPI – Wedding, & Portrait Photography Internal held their annual conference and expo in Las Vegas, Nevada February 27th, to March 6th. Each year, nearly 13,000 professional and aspiring photographers and filmmakers attend WPPI to learn new techniques from industry leaders, build new relationships to grow their business, experience new products and solutions from major manufacturers to improve their productivity, and enjoy the many attractions in Las Vegas. WPPI is a week-long event combining educational seminars with a major industry trade show and networking events, all designed around learning the latest techniques, building new relationships and growing a business in a friendly, fun environment – all at one time, in one place. Along with attending insightful workshops hosted by the best in the industry WPPI also offers a Photo and Film competition to recognize its best. Last year we scored Siver (marks of 80+) in both the Wedding and Commercial category (click the links to watch the entries). This year we repeated the award in the wedding category. We pride ourselves in storytelling. A great story is about the couple; not the flashy reception hall or exotic location shoot. That’s what I hoped the judges would see. When competing with film makers from around the world who have amazing locations for backdrops and wedding budgets close to the price of a house, it’s seemed impossible to score with a wedding shot at Wild Goose and the Slovak Legion. Yet, we did. Winning this award re-enforces the idea that story should come first. Big thanks go out to Brittany & John for being themselves; not only on their wedding day but on their engagement shoot as well. Without them none of this would be possible. Now it’s time to move on and take what we’ve learned to make 2015 even better! Check out John & Brittany’s wedding film on the blog! Do I really need a 2nd Photographer? 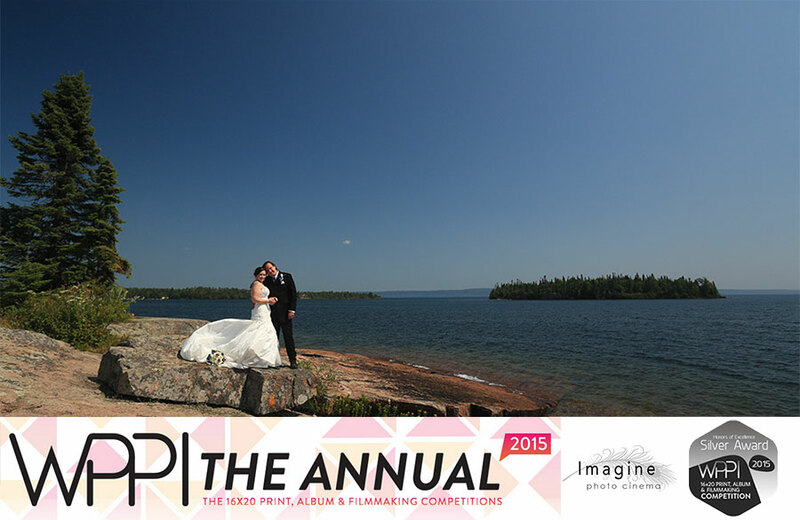 The topic of “1 wedding photographer vs. 2″ has been a hot one for several years now. We recently saw a local post from a bride requiring a second shooter for her wedding; saying she only wanted to book a photographer who provides two. A quick google search will provide hundreds of topics from around the globe on this very topic. You don’t need a second photographer. However, it appears that brides still choose to take quantity over quality when it comes to 1 versus 2 photographer packages. It’s true! The key word in that last paragraph is “quality”. For those photographers who offer two, highly-trained, professional quality photographers (with the proper price tag associated with it), I tip my hat at you for keeping quality an important aspect of your business model. However, for those photographers who offer 2-photographer packages for cheap, it only cheapens you and the industry. We see it all the time….budget photographers offering “2-shooter wedding packages” for half the cost of the competition. Sure, the photos might be under/over exposed, off-coloured and composed poorly, but somehow they still manage to book up year after year. Why is that? Because they have recognized the “quantity vs. quality” bride has made her mark in the wedding world. But, here’s the scoop……Two mediocre photographers are as one as one fabulous photographer. A real good one can can capture your entire day including formals as well as candids and can edit those images to perfection. It’s true they can’t be in two places at once, but they are experienced at moving through crowds, time management and possess ninja like skills….and make it all look natural. More often than not, we’ve seen the two shooters not be in two places; instead they follow each other around. The 2nd shooter probably doesn’t have pro level gear and probably has no backup gear, either! This means that your wedding day schedule will end up the same as it would have been had you simply hired the 1 amazing photographer instead! These shoe-string budget photographers who offer 2 photographers for the price of one probably won’t be around in 3 or 4 years. – how would you feel if your “cheap and affordable” wedding photography went out of business before delivering your final product to you? We need to see a re-emergence of the quality over quantity bride – the bride who values the true artistry and talent in her vendors. The wedding industry showcases some of the most exquisitely talented individuals; whether it’s chefs, photographers, decorators or florists, and these talent vendors are taking a hit with the disappearance of the quality bride. Sophia and Nick visited the studio this evening to view the premiere of their highlight film and they couldn’t be happier. Sophia said she couldn’t wait to show it to her family. Family is something that was apparent to both Sophia and Nick during their ceremony and reception and was talked about quite a bit during the speeches. To hear that getting wedding video was totally worth it for them before they got home is an incredible feeling. Now that they have seen the highlights (probably more than once by now), here it is for you.